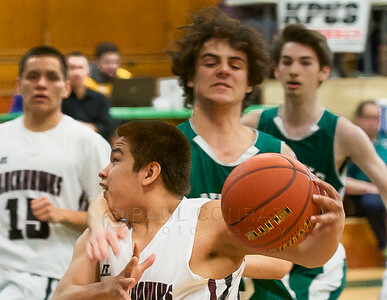 Lummi Nation defeats Mt. 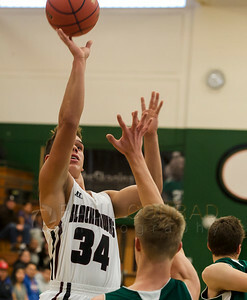 Rainier Lutheran 58 to 42. 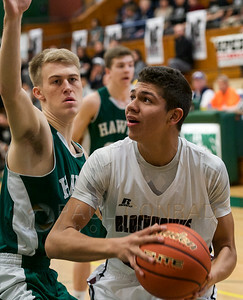 © Paul Conrad/The Bellingham - Lummi's Kavarez Lane (34), right, watches as teammate Trazil Lane (32) lays one up for two points against Mt. 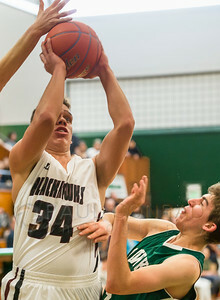 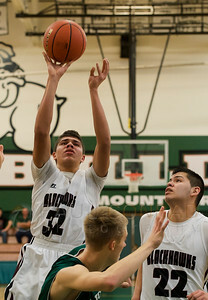 Rainer during the opening round of the 1B State Tournament regional round at Mount Vernon High School in Mount Vernon, Wash., on Saturday afternoon Feb. 28, 2015. 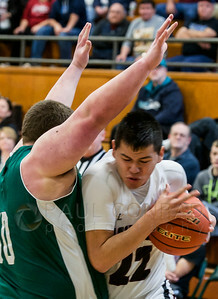 Lummi Nation defeated Mt. 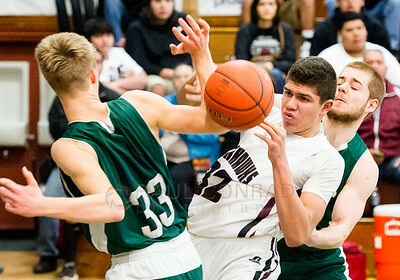 Rainier Lutheran 58 to 42 to advance in the playoffs and remains undefeated for the season. 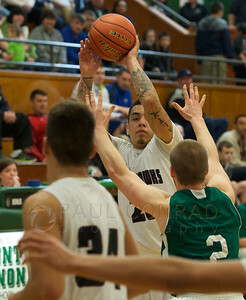 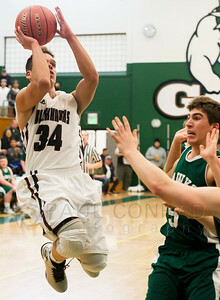 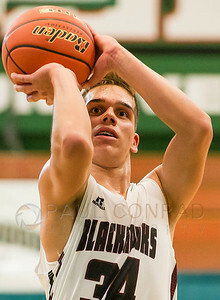 © Paul Conrad/The Bellingham - Lummi's Kavarez Lane (34) shoots over Mt. 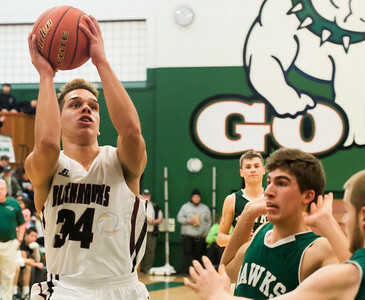 Rainier's Mitchell Pellesier (10), left, Dawson Faker (33), and Ryan Wolf (5) during the 4th quarter of the opening game of the 1B State Tournament regional round at Mount Vernon High School in Mount Vernon, Wash., on Friday evening Feb. 27, 2015. 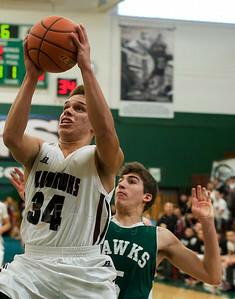 Lummi Nation defeated Mt. 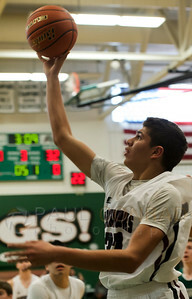 Rainier Lutheran 58 to 42 to advance in the playoffs to advance and remain undefeated for the season. 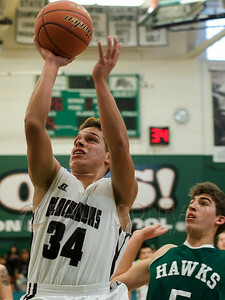 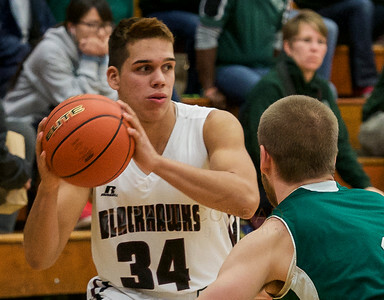 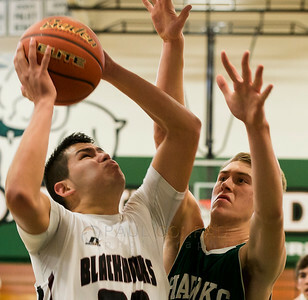 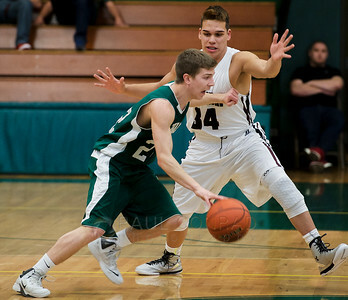 © Paul Conrad/The Bellingham - Lummi's Willie Jones (22),right, drives to the basket around Mt. 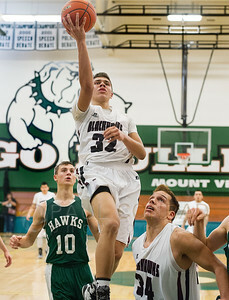 Ranier's Jacob Perdue (50) during the first quarter of their opening game of the 1B State Tournament regional round at Mount Vernon High School in Mount Vernon, Wash., on Saturday afternoon Feb. 28, 2015. 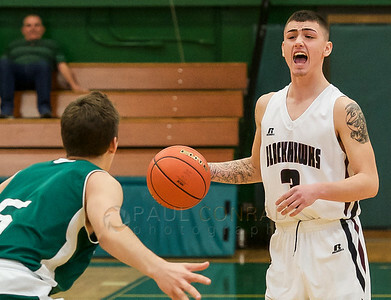 Lummi Nation remains undefeated as they beat Mt. 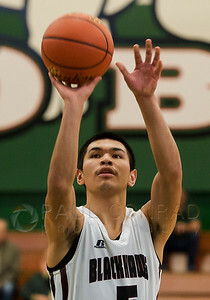 Rainier Lutheran 58 to 42 to advance in the playoffs. 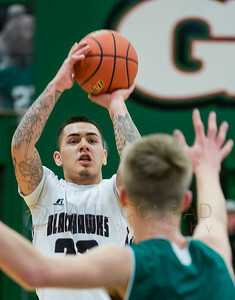 © Paul Conrad/The Bellingham - Lummi's Kavarez Lane (34) shoots over Mt. 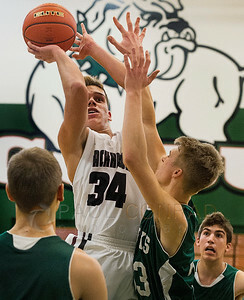 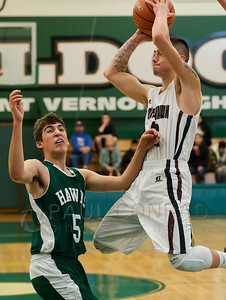 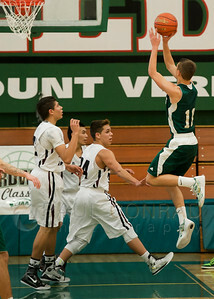 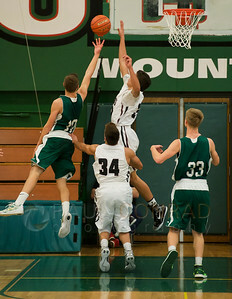 Rainier's Ryan Wolf (5), right, during the third quarter of their opening game in the 1B State Tournament regional round at Mount Vernon High School in Mount Vernon, Wash., on Friday evening Feb. 27, 2015. 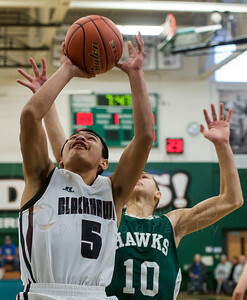 Lummi Nation defeated Mt. 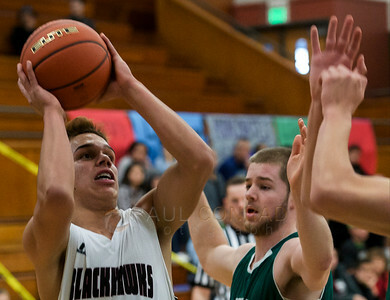 Rainier Lutheran 58 to 42 to advance in the playoffs and remain undefeated for the season. 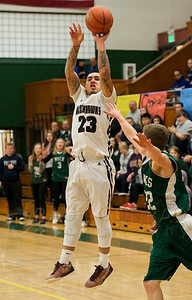 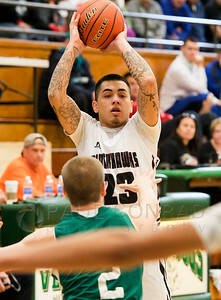 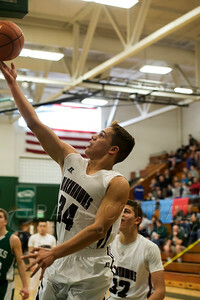 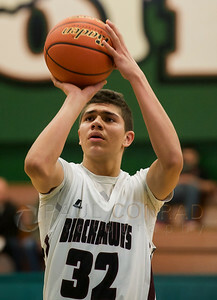 © Paul Conrad/The Bellingham - Lummi's Kavarez Lane (34) shoots over Mt. 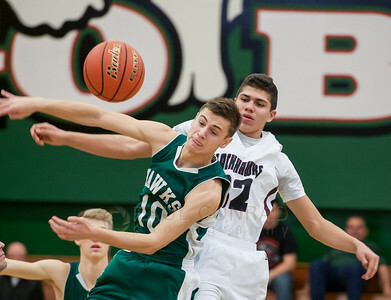 Rainier's Mitchell Pelissier (10), left, Ryan Wolf (5), right, during the third quarter of their opening game in the 1B State Tournament regional round at Mount Vernon High School in Mount Vernon, Wash., on Friday evening Feb. 27, 2015. 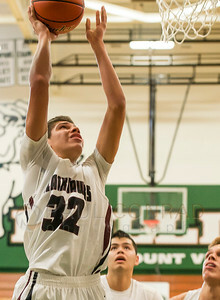 Lummi Nation defeated Mt. 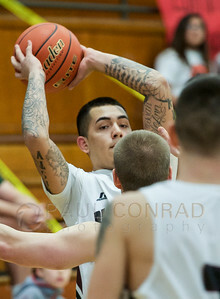 Rainier Lutheran 58 to 42 to advance in the playoffs and remain undefeated for the season.